When you totally strip down an old car and build it up from scratch, you’re doing “body-off” work. That is a perfect metaphor for what we want to achieve in the Micah Tech vocational program. We desire to strip away all of the past habits that our young men learned on the streets and in chaotic childhoods, and build up new creatures of God who are able to be a light for transformation in their city and their country. Brian Wiggs founded the Micah Tech program in 2010 on the second-floor terrace of the Micah House. The original school had a carpentry section, complete with professional power tools, and a welding section, with several types of welders. Here at Micah 2.0, the Micah Tech program continues to grow. 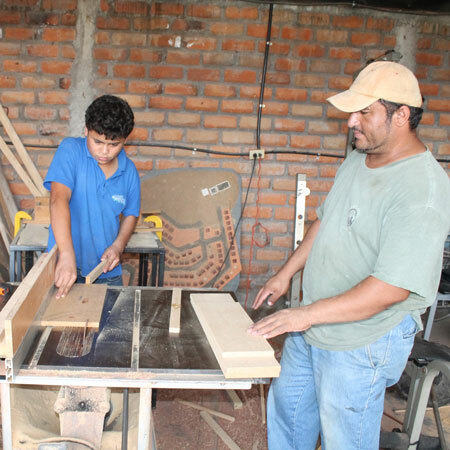 We have a workshop for carpentry and welding, and hope to open up an auto-mechanic portion in the future. There always seems to be a saw buzzing or sparks flying especially as we continue grow and improve our new facility. 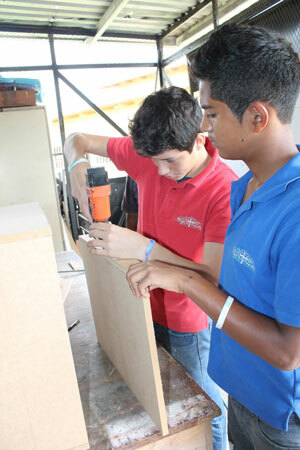 The Micah boys themselves have two days of classes each week so that they can begin to learn these important skills. 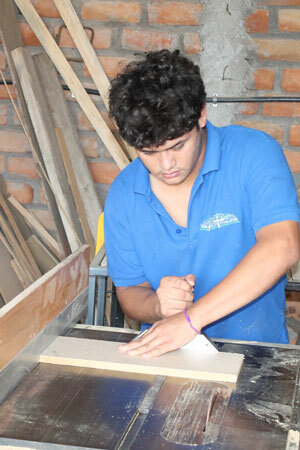 The young men learn a series of skills through practical training. Already, they have learned how to make jewelry boxes, shelving units, metallic doors and window bars, and many other things! We are so excited to see what God is going to do as he forms these young men into “Technicians for Christ”!